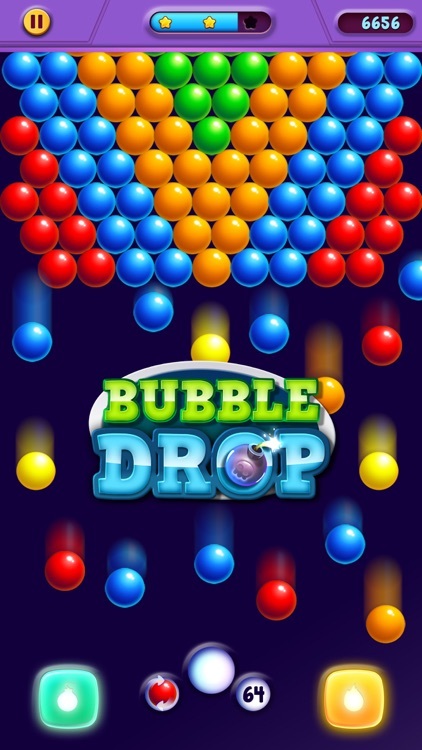 Get the fun going with this addictive, action-packed bubble popping game. 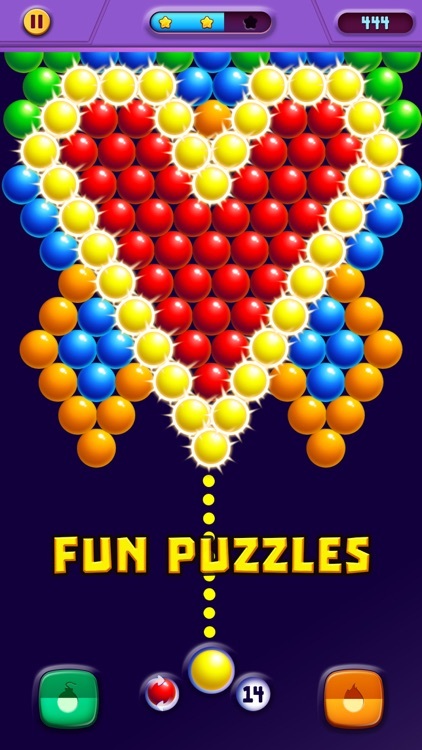 Hurry up and download this fun puzzle and get in on the bubble action! Shoot, hit and blast all the colorful bubbles in thousands of challenging levels, unlock powerful boosters and enjoy the best puzzle game. Try out this fun new bubble game and play anytime and anywhere you want- no wifi needed! Blast off! 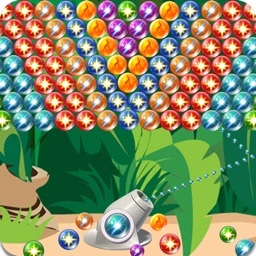 Join the bubble RUSH, SHOOT & POP Bubbles and test your skills. 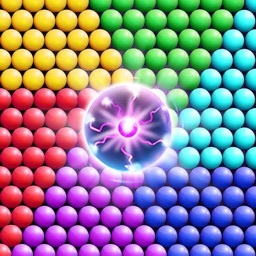 Bubble Puzzle is set to action - PLAY now and get ready to shoot and explode balls! Aim and tap where you want to shoot the bubble. Test your skills and train your brain with thousands of fun puzzles. Hit and crack all the bubbles and unlock powerful boosts. Overcome the obstacles by planning your moves. Cear a level with fewer moves to get a higher score! Explore thousands of exciting levels packed with challenges and puzzles. Earn awesome boosters and power-ups that will help you in your mission. You can restart any level without having to wait for lives, as they are unlimited! 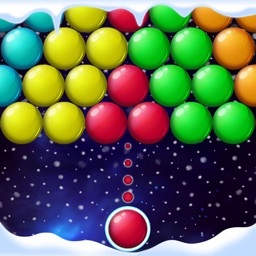 Discover the bubble shooting awesomeness and exciting new challenges. Enjoy fun graphics and designs. Join the amazing adventure today! Show your strength! Join the bubble combat and emerge a winner. Rush to the battle and drop and pop all the balloons! Test your matching and strategy skills with thousands of challenging levels. Plan your moves, enjoy all the fun puzzles and exercise your brain. 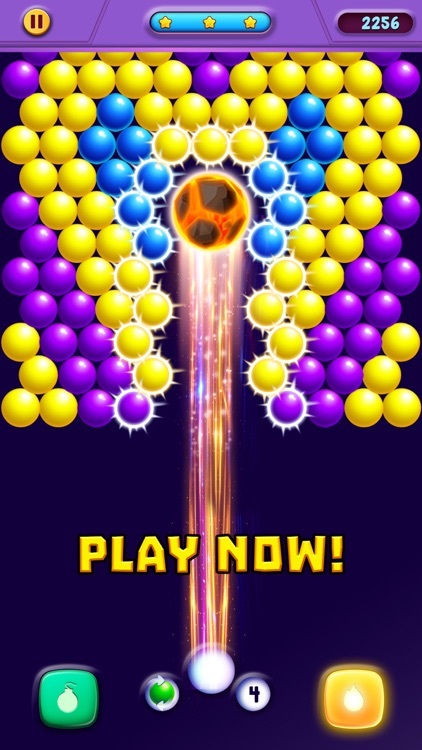 Shoot and break bubbles, make powerful combos and sharpen your skills! 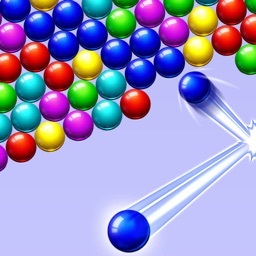 Make combinations of 3 or more identically colored bubbles to pop the group and blast the bubbles away. Drop and pop all the colorful balloons and clear the board. Aim to hit the target and fire away! Charge up with powerful boosters that will help you blast through the levels. * Pop 7 bubbles in a row to get a fireball that will smash and burn every bubble on the way. * Drop 10 bubbles or more to get a bomb that will take out surrounding bubbles. FUN PUZZLE GAME FOR THE WHOLE FAMILY! 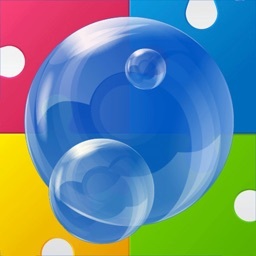 Enjoy Bubble Puzzle Action game with your family and friends. 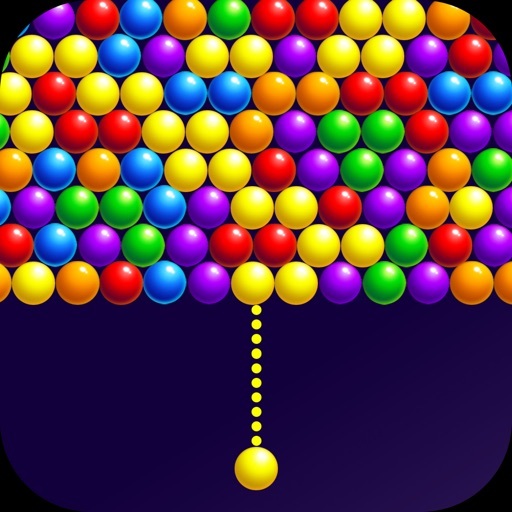 Share the bubble popping fun with friends and see who can beat all the challenges and reach the highest score. Play everywhere, anywhere and as much as you want. No internet connection is needed. 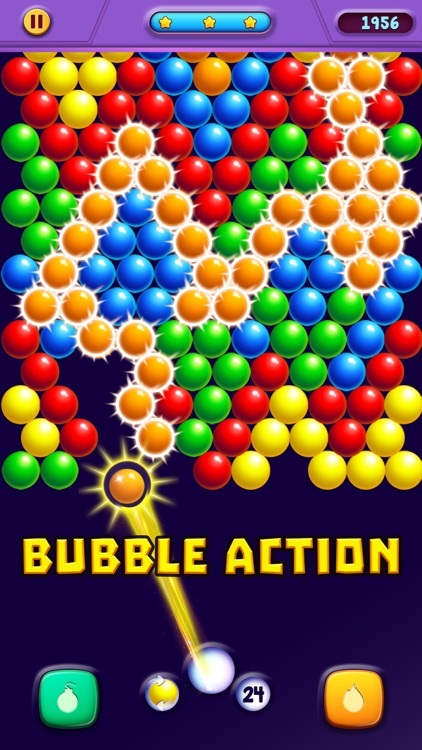 Bubble Puzzle Action is the best game to play when you have some free time, or when you’re looking for a fun activity to share with friends and family. - Different challenges and puzzles. - Thousands of fun levels. - Great graphics and effects. - Free coins and gifts! - Play and unlock new levels. - Rush and pop balloons and win the bubble battle! - Free to play and super fun! 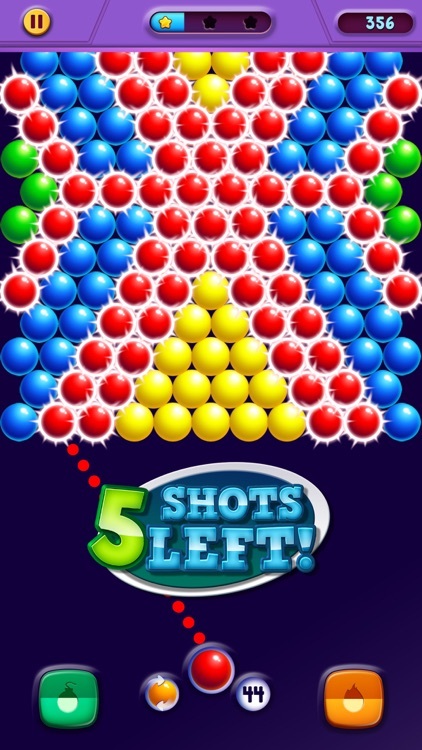 Get this fun shooter today, match 3 colors, hit balloons and win. Beat all the challenges and overcome obstacles. Win amazing rewards and enjoy fun new elements and features: cool boosts, power-ups, daily rewards, awesome effects and designs and more! 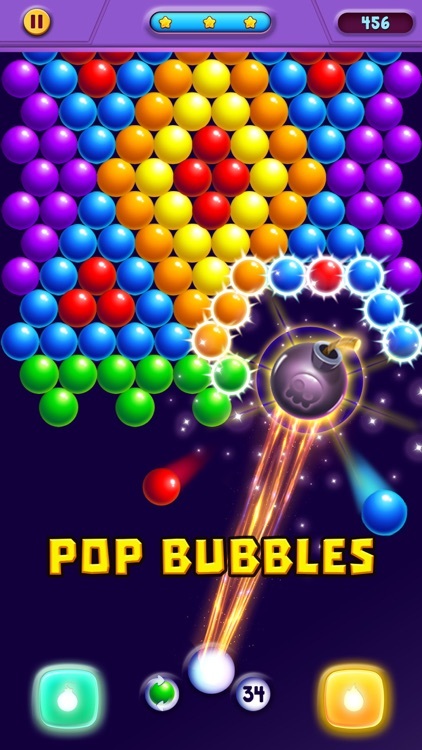 Bubble Puzzle Action is free to play, but some optional in-game items will require payment.